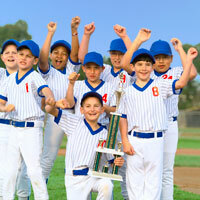 One of Mom’s most important concerns for her child involves exercise and sports. Kellogg’s Frosted Flakes is a food brand that builds promoting exercise into its marketing strategies that appeal to Mom and her child alike. Other brands can draw inspiration from this case study to help them incorporate exercise and sports into their own marketing strategies. What I particularly like about this example is that it shows how a food brand can tap into another mom’s hot button area: exercise and sports. Frosted Flakes’ main marketing strategy revolves around encouraging healthy lifestyles for children—started with a breakfast that includes Frosted Flakes. The brand regularly updates its strategies to keep up with current events in sports. The brand sponsors teams and athletes, partners with other organizations, develops contests and finds new ways to engage children and parents. 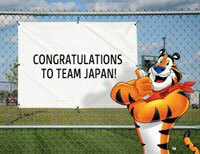 Frosted Flakes employs marketing campaigns on its website and Facebook to create broader exposure. Using a variation of the “Earn Your Stripes” tagline, “Show Your Stripes,” the website includes interactive activities that encourage children to create a sports nickname, make the “perfect chant” and share how they show their stripes. The Frosted Flakes brand encourages children to be active though a variety of programs and by showing its branded character, Tony the Tiger, as an energetic supporter of youth fitness and sports. With half of Kellogg’s $13.2 billion net sales resulting from cereal sales, the company has been successful at building and maintaining their brands’ status as market leaders. Other brands, especially food brands, could certainly learn from Frosted Flakes’ example by employing marketing strategies that promote exercise and appeal to moms and their families.